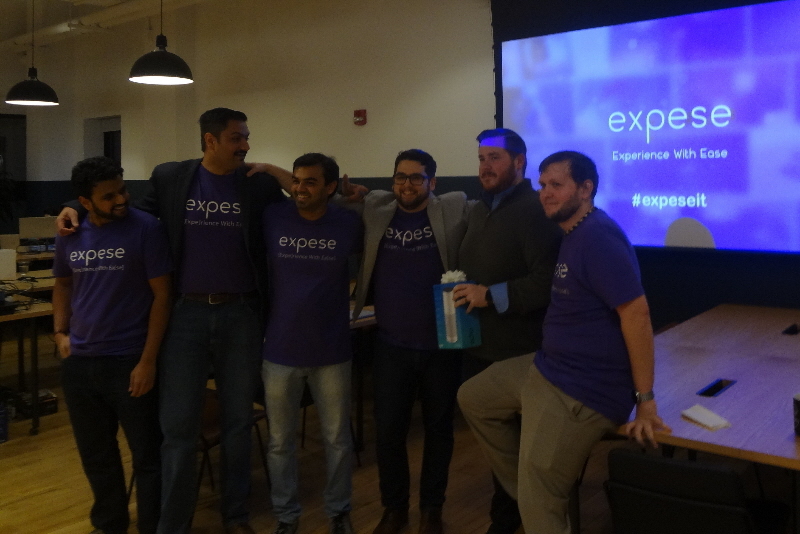 On Tuesday, November 14th, I attended the Expese.com launch party at WeWork in Cambridge, MA. I found out about the company via a conversation at a local startup event a few months ago. This was a neat way to learn more about the company. Expese’s marketing tagline and, obviously, the source of the company’s name is “experience with ease.” The website is a technology enthusiast’s playground. It allows subscribers to “experience” cutting-edge technology for 21 days before returning it and getting the “experience” the next item on their lists. It’s a “try before you buy” website, and there is an opportunity for subscribers to purchase the items they’re trying out using e-coins. E-coins are earned simply by subscribing; they can also be earned by writing reviews and by referring new subscribers. Of course, you can also buy e-coins to reach the amount required to purchase a product that interests you. Products currently available through Expese include virtual reality products, drones, smartwatches, gaming systems, and a variety of other gadgets, as listed on this page of the website. 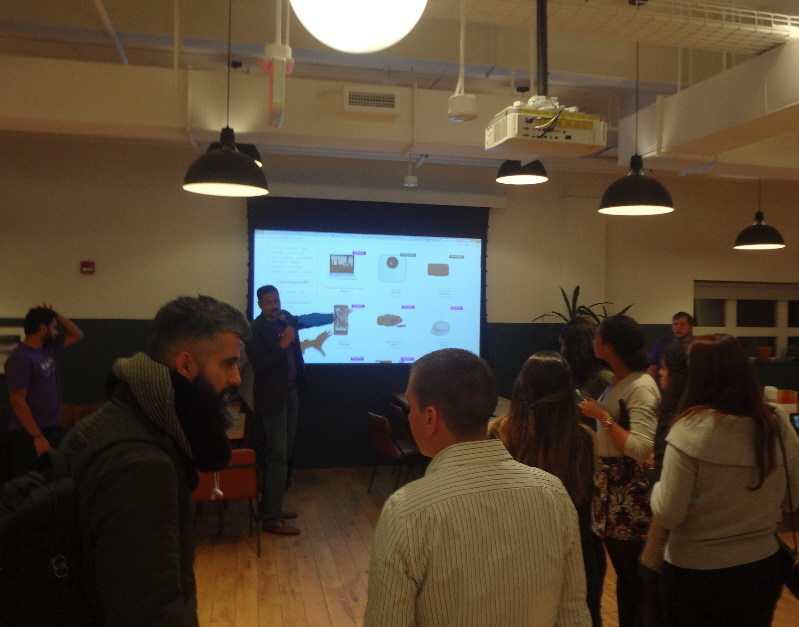 The party itself was an after-work event with snacks, drinks, a quick presentation, and prizes. 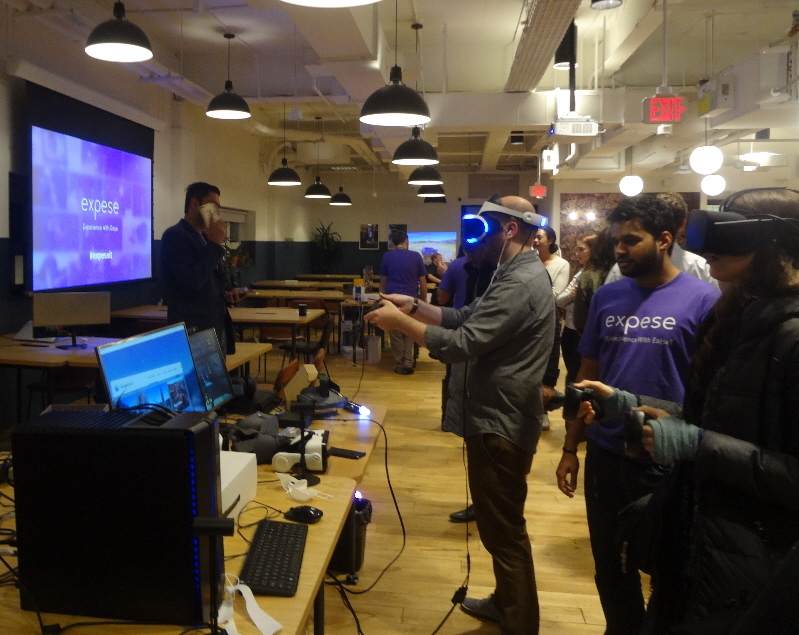 At the event, virtual reality products were available to try out and a sample table containing some of the technology available through Expese was set up. The attendees were an interesting mix of people in the local technology and start-up communities. Expese is currently in beta launch, so early subscriber feedback may inform future changes. I actually won a two-month trial of Expese at the event – I told you there were prizes – so I’m going to sign up, try it out, and share my experiences with you at the end of the trial. I’ve always personally been too busy to devote much time to the latest tech, so this will be fun. Either tomorrow or maybe during Thanksgiving weekend I’ll have a little free time to sign up, set up my account, and select items for my queue, and after I’ve tried Expese for a couple months, I’ll write about my experience. 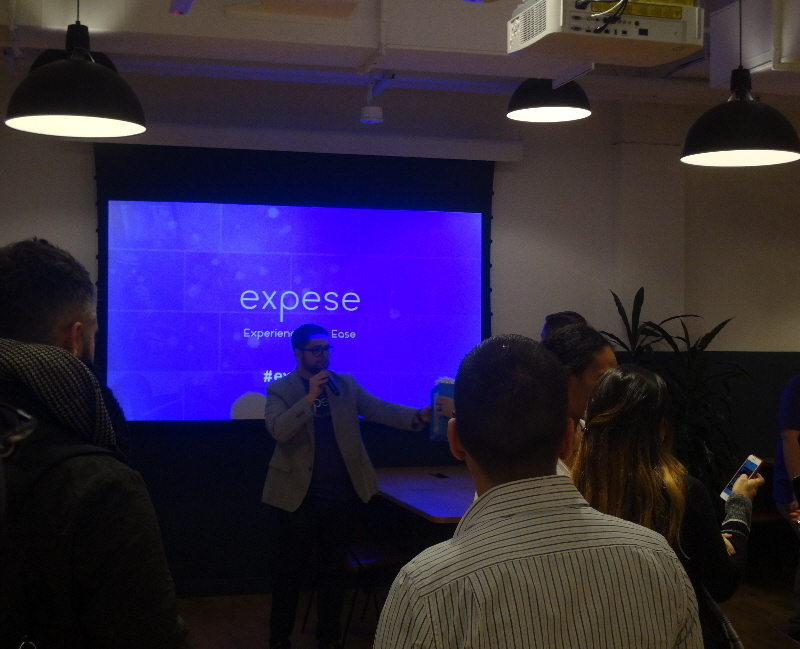 Thanks Geoff for sharing your experience of Expese launch party. Truly appreciate you taking time and share your opinion on Expese.com. It’s my pleasure, Akash. Thank you for inviting me to the event.